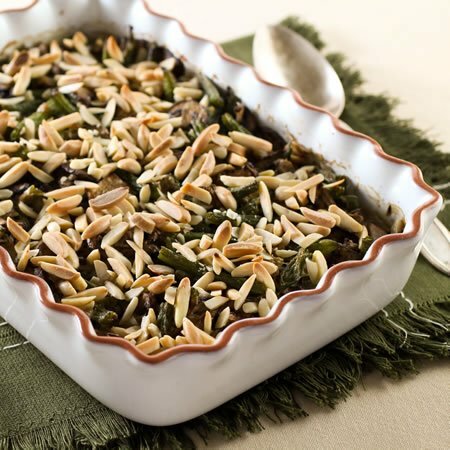 After first publishing this Green Bean Casserole recipe a few years ago, it instantly became one of our favorite Thanksgiving dishes. It’s an easy recipe, and can be prepped in advance. I’m republishing it today in honor of the inventor of the green bean casserole, Dorcas Reilly, who passed away last week at age 92. It doesn’t have to be this way. 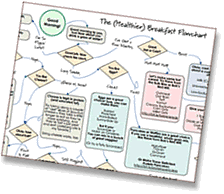 You can have your fabulous, holiday traditions without all the guilt and overeating. Really, you can. The trick is to find recipes that have the same amount (or more!) of comfort-food-ness, and enjoy those instead. 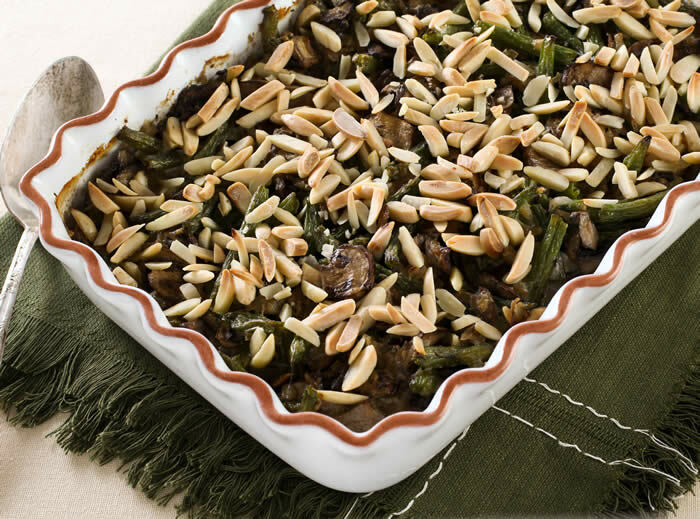 As I kid, my very favorite Thanksgiving dish was the green bean casserole. It still is, come to think of it. I suppose it’s one of the formative flavors from my childhood. Fast forward a few decades, and now that I’m pushing over forty (gah!) and have changed how I eat, the canned-soup version doesn’t really hold the same appeal for me (sorry, Ms. Reilly). So when Redwood Hill Farm hired me to develop a new recipe for them, I wanted it to be a makeover of a popular Thanksgiving dish. I knew I wanted to use their Smoked Goat Milk Cheddar, my favorite of all their delectable cheeses (we even served it at our wedding). 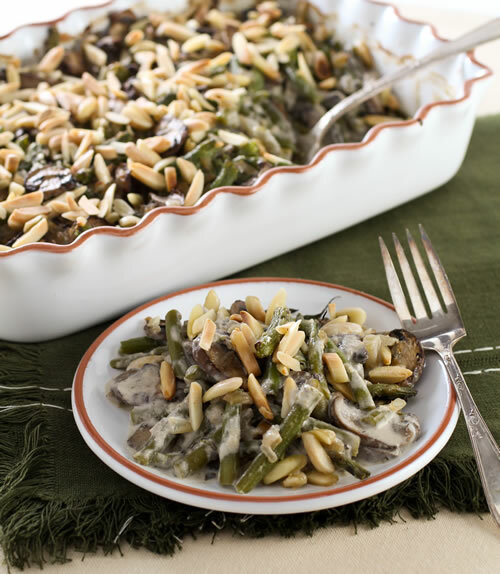 And when they asked me if I could work in one of their Green Valley Organics Lactose-Free products, I knew that their Sour Cream – which is far more like crème fraîche than American sour cream – would be the perfect addition to a green bean casserole makeover. Before I go on, I’d like to mention how much I love Redwood Hill Farm (and not just because they’re paying me; this part’s not in the contract!). Both Redwood Hill and Green Valley Organics are Certified Humane farms. I have visited both the farm and the creamery (click through for my pictures! ), and am thrilled at the quality of life they provide for their goats (I haven’t seen the cows, but I have no doubt Jennifer and her team take excellent care of them, too). I walked amongst the goats and they were so well-mannered, healthy, and affectionate, I could tell they were very happy goats indeed. So here we are, with our grown-up holiday comfort food. This Smoky Green Bean Casserole with Smoked Cheddar and Fennel will be my contribution to the holiday table this year. I’ve replaced the condensed soup with real mushrooms and real cultured cream – but not so much that it will weigh you down. By swapping almonds for the fried onions, we still get a satisfying (and far more nutritious) crunch from the topping, without all that extra grease. Oh, and don’t tell anyone, but this dish is also quite easy to put together (if I can do it, so can you!). If you can boil water and sauté some veggies, you can make this dish — and then you’ll have one heck of a tasty casserole on your table. I’ve replaced the condensed soup with real mushrooms and real cultured cream – but not so much that it will weigh you down. By swapping almonds for the fried onions, we still get a satisfying (and far more nutritious) crunch from the topping, without all that extra grease. Bring a large pot of salted water to a boil. While it's heating, rinse the green beans and trim the stems. Wash the green beans, then trim the ends and cut into 2-inch pieces. Add the beans to the water and return to a boil. Cook for about 5 minutes, until tender-crisp. Remove from water and immediately place in an icewater bath to stop the cooking. Once cool, drain in a colander and set aside. In a large, non-stick skillet, heat the olive oil on medium-heat. Add the onion and fennel and sauté until the onion is translucent, about five minutes. Add the mushrooms and continue cooking, stirring frequently. Add the salt and pepper. Once the mushrooms have released their juices and shrunk (about 5-6 minutes), sprinkle in the flour and continue stirring for another minute, so the flour mixes in and absorbs some of the juices. Mix in the sour cream and shredded cheese. Once the sour cream has softened and the cheddar has melted, mix in the green beans. Stir until everything is evenly coated. Scoop the entire mixture into a 9" x 9" casserole dish and use a spatula or spoon to level it all out. Sprinkle the almonds on top. 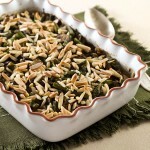 Place in the oven, uncovered, and bake for 35-45 minutes, until heated and bubbly and the almonds are lightly toasted. I just wanted to say that this was SO tasty – I know, I got to test it when I took the pictures! Mark and I just could not stop eating it. It is rich, but not heavy. 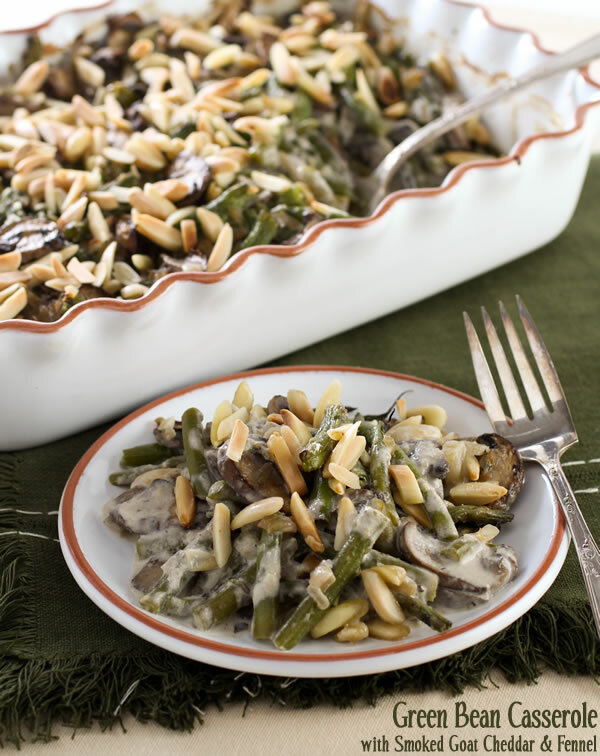 The smoky cheese and almonds really make the dish special! Yum! Looking forward to trying the green bean recipe. A well loved oldie is chopped garlic, olive oil, salt, pepper and fresh lemon juice. All mixed with cooked green beans. Hi Andrew, Thanks so much for this beautiful recipe! It’s good to remember that our Green Valley Organics sour cream and fresh mushrooms could take the place of cream of mushroom soup in any of those old childhood favorite recipes. And what a great way to use our smoked goat cheddar. We can’t wait to try this!